Dr. J. Surya Rao is a doctor by profession. He is the founder of Roland Educational and Charitable Trust. Education is sacred term, it may seem that today’s materialistic world has stolen the sparkle from the diamond, bit it is not so. We have to reinforce our faith in our education system. Today’s world is changing at the speed of nano second. We have to make our students competent in order to take the new world head on. 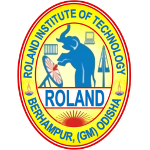 The objective of Roland is to make students fir from all aspects. They should not be overwhelmed by and hyper competition, rather they should ask for more competition in order to chisel themselves. Our environment is devoid of the so called heat, hype and hoopla. We believe only in holistic education, nothing else. Our teachers are so meticulous in their approaches and dedicated towards teaching that they evolve a unique relationship with the students. Their uncanny ability to bond and blend with students make them all time favourite. I urge them to continue the tradition to understand the importance of the situation. I do remember that when I was a teacher every time I came out of the classroom I felt I had achieved nirvana.